What makes a neighborhood great? There are many factors: access to necessities, nearby parks, ample lighting, well kept trees, clean properties... the list goes on. Every neighborhood also has streets and other infrastructure that is hidden beneath the surface. The City of Kalamazoo recognizes that in addition to simply getting residents from point A to point B, streets have value in other ways, and contribute to the quality of life in a given neighborhood. That is why for many projects, the City is going beyond simply repairing streets and considering how the streetscape can be improved to have a positive impact for neighbors. Many projects will include tree trimming or new trees, improved LED lighting, repaired or added ADA sidewalks, updated water and sewer infrastructure, and the replacement of any outdated water service lines. These considerations were requested by many community members throughout Imagine Kalamazoo, and thanks in part to support from the Foundation for Excellence, many planned projects have had their scopes increase to include these other important improvements. Complete street projects in 2018 on N Rose Street, Ada Street, Norway Avene, Church Street, Locust Street, Oakland Drive, Lorraine Street, Nazareth Road. Construction to be completed in 2018. 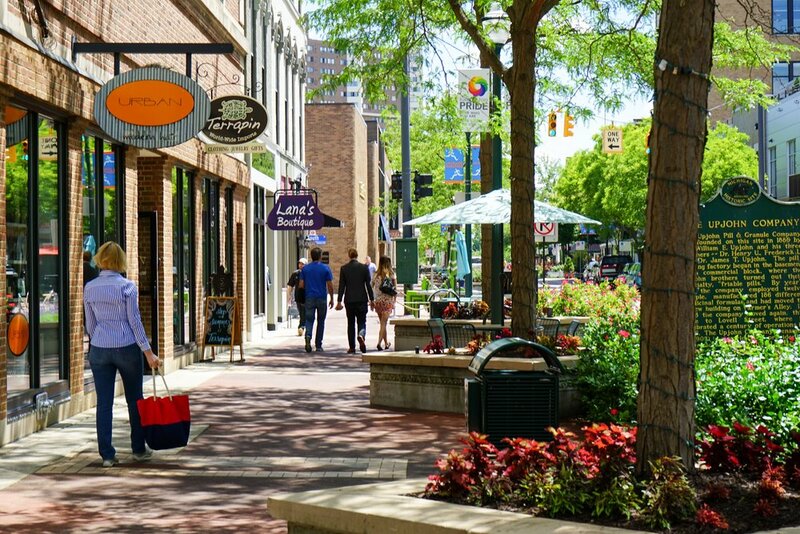 To enhance Kalamazoo's neighborhoods and connect the city with complete streets.